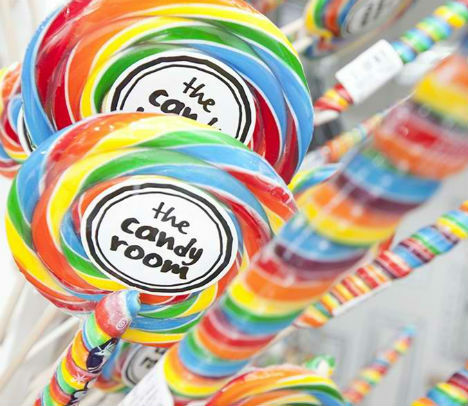 Some candy shops are so colorful and chaotic, you’re not sure where to look. 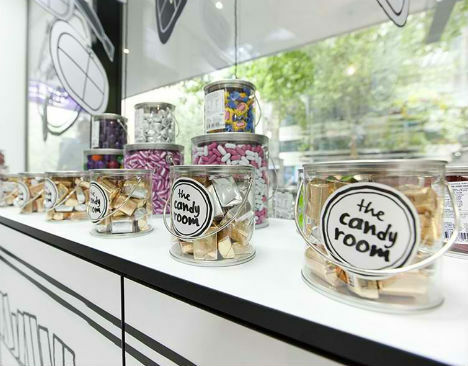 That kind of wild Willy Wonka-esque environment can certainly be fun, but sometimes, simplicity is what it takes to make the truly important element stand out: the candy itself. 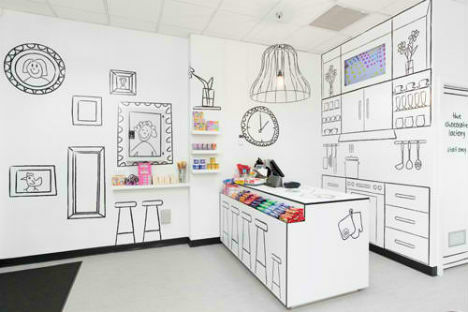 RED Design Group gets sketchy with a black-and-white store for Candy Room in Melbourne, Australia. 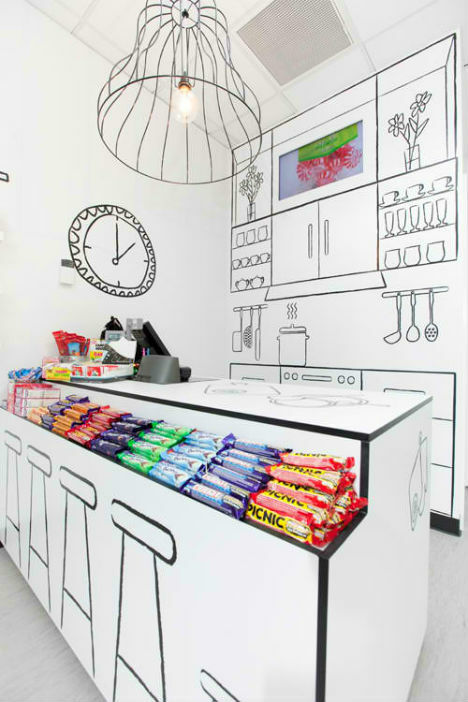 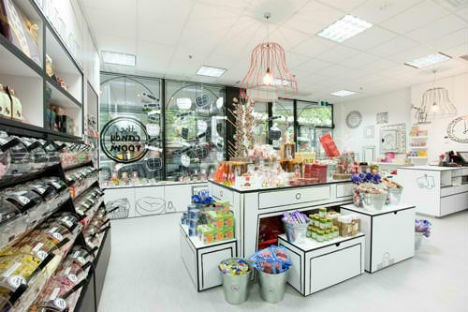 Sweet Enough, a wholesale importer of sugar-free candy products, wanted to break into the retail market with a store that would be “a destination and an experience.” RED Design Group captured a childlike spirit with hand-drawn details like a kitchen, stools and books on stark white surfaces. 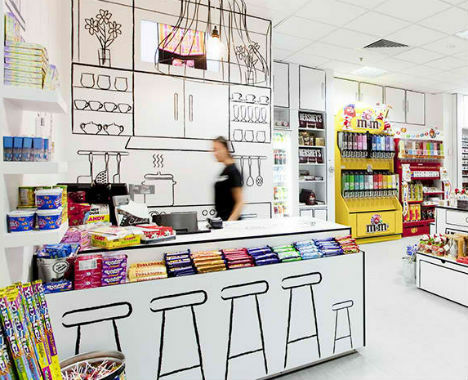 They extended the same theme to the store’s branding and packaging, with labels and signage casually hand-written. 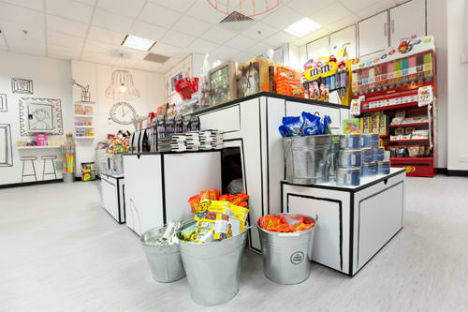 Walking into the store, visitors are immediately greeted by the bright coloring of the canned packaging, eyes drawn to lollipops, chocolate bars, caramels and much more.